Interested in Advertising at Grand Prix History? Official transporter from the Scuderia Maserati from 1957 is a true eye catcher. Rob Walker, was not only the first private team owner to secure victory in a Formula One World Championship-qualifying Grand Prix, but also the last ever to do so. A flavor of the man can be gained from the fact that Walker never had, in the conventional sense of the word, a "job" (he was once described by a friend as being "self-unemployed"). During the 1960s when the slot car craze was in full swing the United States could rightfully be considered the center of the slot car universe. Fast forward 50 years and Italy along with Spain can be described as one of the centers of multi-polar slot car world, with flexi and retro racing centered in the United States, Eurosport in Eastern Europe, 1/32 and 1/24 Scale Racing in Italy and Spain with a strong push for composite chassied LMP racing in Germany and 1/32 racing in the United Kingdom. The 1903 Paris-Bordeaux race marked the end of the classic city to city races when a number of drivers and spectators were either killed or injured. Questions were raised regarding whether the race should be stopped and the French Government decided the matter for everybody concerned. The race was halted forthwith and all the racing cars taken possession of by the authorities. Special trains were secured and the cars were dragged to the railway station behind horses and returned to Paris; not even the motors were allowed to be restarted. 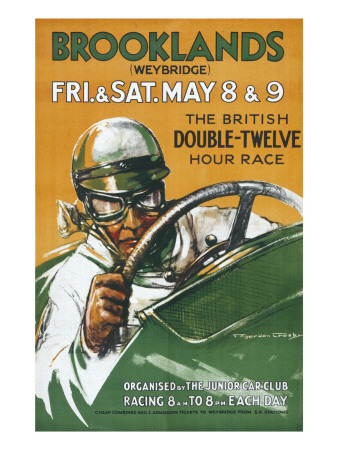 In England racing on public roads was illegal in racing on public roads open or closed was illegal inand British drivers had to resort to racing in Ireland or on the continent. The 1902 Gordon Bennett Race having been won by the British Napier team, albeit in the hands of an Australian, Selwyn Francis Edge should have meant that the 1903 edition of the race would be held in England. Instead the race was run on the Athy Circuit in Ireland. John Bishop, Executive Director of the Sports Car Club of America as his Competition Director, Jim Kaser to look into the possibility of forming a professional sports car series, one with a more international flavor than it's US Road Racing Championship (USRRC). The Canadian - American Challenge Cup was a joint effort of two clubs: the Sports Car Club of America (SCCA) and the Canadian Automobile Sports Club (CASC). It continued in its original form through 1974. In 1971, it was officially recognized by the FIA giving it international prestige. The Can-Am series began in 1966 with two races in Canada (CAN) and four races in the United States of America (AM) for what were to become known as Group 7 sports cars. These racing cars were not mass produced, but instead manufactured in small quantities or as single units. The FIA’s Group 7 regulations specified no engine capacity limit, and turbochargers and compressors were allowed. There were no other technical restrictions. In theory, all the cars needed for approval were two seats, bodywork which enclosed the wheels, and a roll hoop. When I talk about the Mille Miglia, I feel quite moved, for it played such a big part in my life. I knew it as a driver, a team director and a constructor ... and was always an admirer of its champions. In fact, the Mille Miglia not only provided enormous technical advances during its three decades, it really did breed champions. It began with demonstration runs such as one that took place on the 22nd of July, 1894 in front of a fascinated public for these strange carriages that drove themselves or at least seemed to. The trail as it was called would cover the distance from Paris to Rouen and was organized by the journalist Pierre Giffard of Le Petit Journal; a judging-panel decided on the winner. The paper promoted it as 'Le Petit Journal' Competition for Horseless Carriages (Le Petit Journal Concours des Voitures sans Chevaux) that were not dangerous, easy to drive, and cheap during the journey, the main prize being for the competitor whose car comes closest to the ideal. The announcement in Le Petit Journal on 19 December 1893 expressly denied that it would be a race - ce ne sera pas une course. The easy to drive clause effectively precluded from the prizes any vehicles needing a traveling mechanic or technical assistant such as a stoker. In 1905 while attending a sporting competition Vincenzo Florio was asked by Henri Desgrange, editor of L'Auto and founder of the Tour De France: "Why do you not have a motor race in Sicily?" Florio startled by the question could only respond: "Why, because we have no roads." Upon his return home he had his associates look into the matter of road and they convinced Florio that a course could be built. In 1937 the Germans came to Donington. This is the story of the men and the cars they drove - the Silver Arrows. The practicing had just begun. Away beyond the woods we heard the approaching scream of a well-tuned E.R.A. and down the winding slope towards us came Raymond Mays. He changed down, braked, skirted round the Hairpin and was gone. "There's the winner," remarked one of my friends. "Knows this course backwards." Half a minute later came the deeper note of a 2.9-litre Maserati, and "B. Bira" (Prince Birabongse of Siam, Mays’ nearest rival and a new star in the racing firmament) shot past us, cornering with that precision which marked him as the master he was. "Or him," said another. We waited again. Far away in the distance we heard an angry, deep-throated roaring - as someone once remarked, like hungry lions impatient for the arena. A few moments later, Manfred von Brauchitsch, red helmeted, brought a great, silver projectile snaking down the hill, and close behind, his teammate Rudolf Caracciola, then at the height of his great career. The two cars took the hairpin, von Brauchitsch almost sideways, and rocketed away out of sight with long plumes of rubber smoke trailing from their huge rear tyres, in a deafening crash of sound. The startled Pressmen gazed at each other, awe-struck. "Strewth," gasped one of them, "so that's what they're like!" In 1939 Bentram "Fred" Francis 1939 started a tool-making company, which ran twenty-four hours a day throughout the war years. Two years after the armistice Francis turned to a gentler cliental following a childhood ambition to become a toy-maker, and founded Minimodels Ltd which, among other toys, produced Scalex and Startex clockwork cars. What separated his Scalex cars from the competition was that a hidden fifth wheel that discarded with the need for a key. By 1952 demand for Minimodels toys was so great that in order to expand the company relocated to a new, purpose-built factory at Havant in Hampshire but as often happens with toys the public soon was demanding something new. At a London toy fair Francis saw a display featuring battery-powered cars running around a track, but without user control. As a true toy man he knew straight away what was missing, real 'play value'. After six months of investigation and seeing the giddy reactions of his marketing people as they tried to control the now electric-powered Scalex cars - renamed Scalextric, convinced Francis that he was onto a winner. Forgotten Locales: Time for Portugal’s Reinstatement? Compiling a list of this kind may always be subject to debate. How do you compare drivers and cars that belonged to different eras? Having said that, the five drivers considered in this article are believed to make up the top five list of most, if not all, Formula One aficionados. The drivers listed here are presented in alphabetical order based on their respective first names. The Curious History of Formula 1 Engines Can Leclerc Revitalise Scuderia Ferrari In 2019? In the sport of Formula 1, engines transcend everything. The drivers, engineers, team managers, tyre strategies, car design - all of these are important parts of the equation. But nothing has been more impactful than the engine. Ferrari will enter 2019 knowing it has been 12 seasons since they have won a F1 Drivers’ Championship and 11 since they landed a Constructors’ title. It is now the second longest drought in the team’s history; not nearly as bad as two-decade barren run of the 1980s and 90s, when McLaren and Williams dominated the sport, but nevertheless an unwanted streak for F1’s most iconic team. Where Does Nico Rosberg Rank in the History of Formula One? Nico Rosberg edged out Lewis Hamilton to secure his maiden Formula One World Drivers' Championship in the 2016 season. The German and his Mercedes teammate enjoyed a tense battle over the course of the campaign, but Rosberg was just able to edge out the Brit to claim the crown. Your paid content can appear here as a lead in (max 250 words) to your main advertisement page that can either be hosted on your site or on ours. The Grand Prix History encyclopedic website has been in existence since March of 1997. During that time it has covered the history of Formula 1 as well as early Grand Prix racing, the German Silver Arrows, the Mille Miglia and other legendary auto racing events. Our visitors come from all over the world including a strong presence in the UK and Europe.